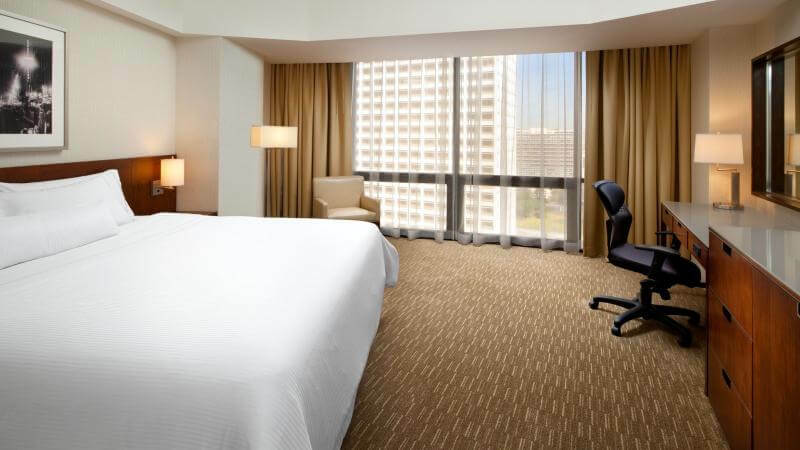 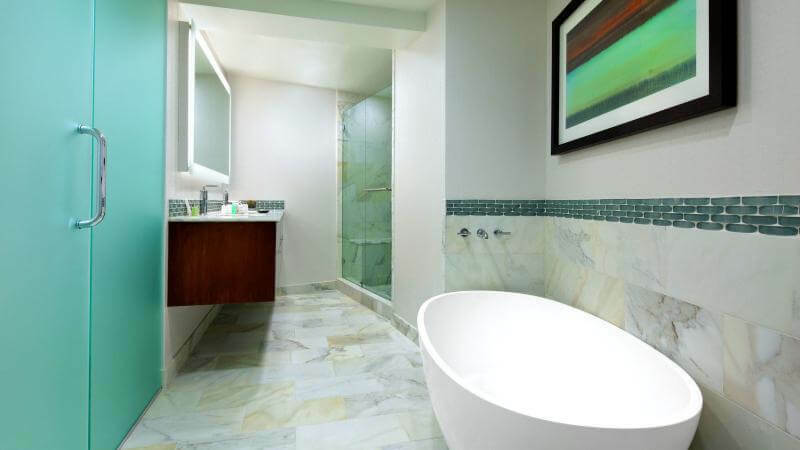 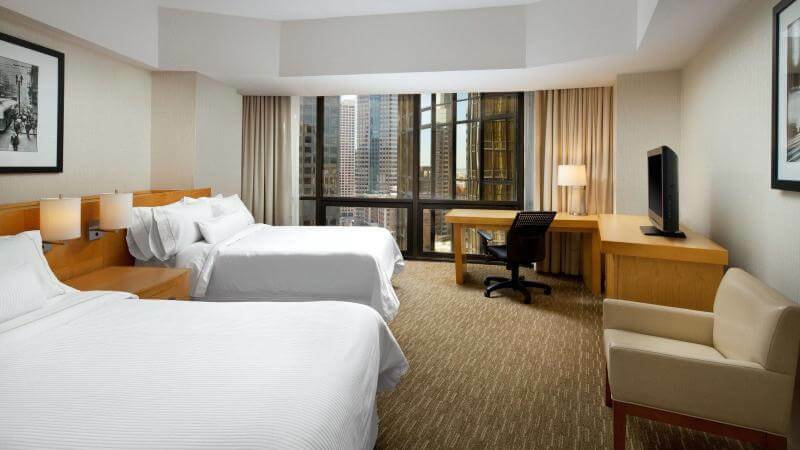 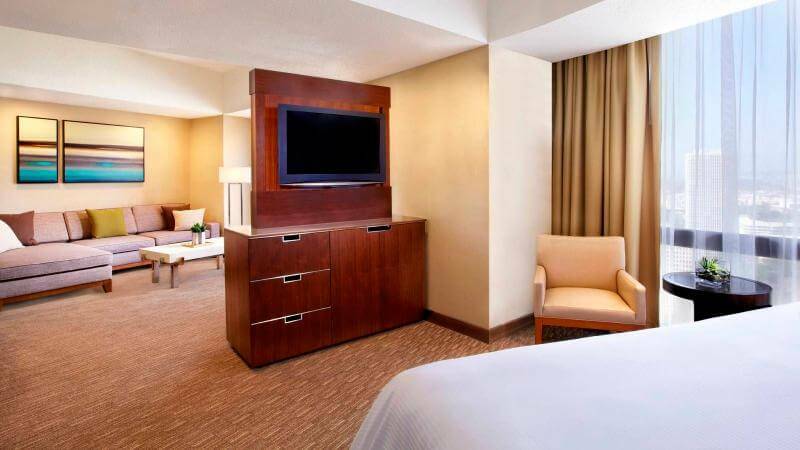 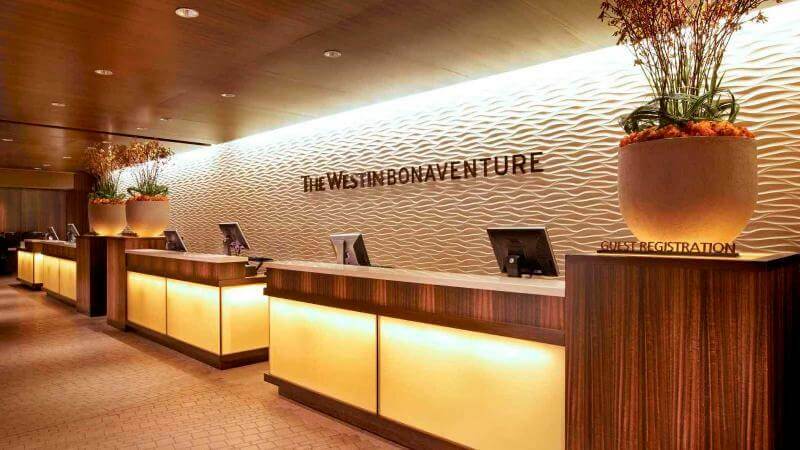 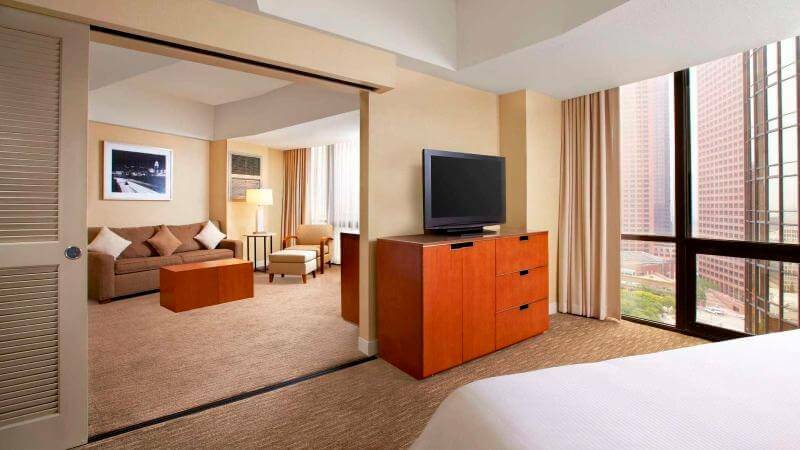 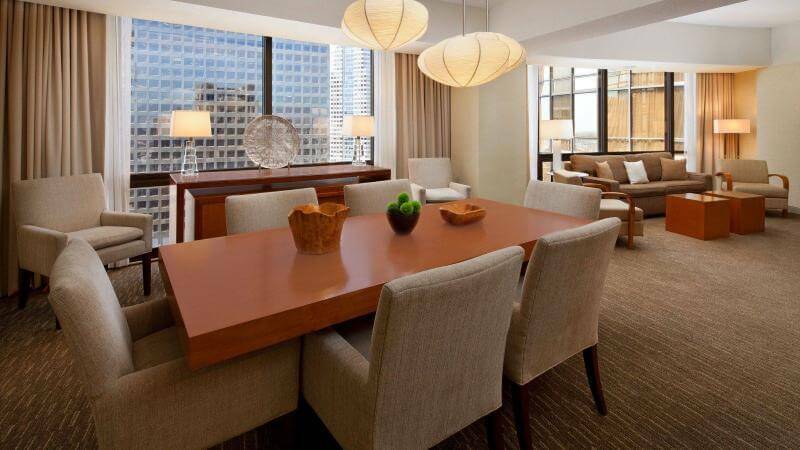 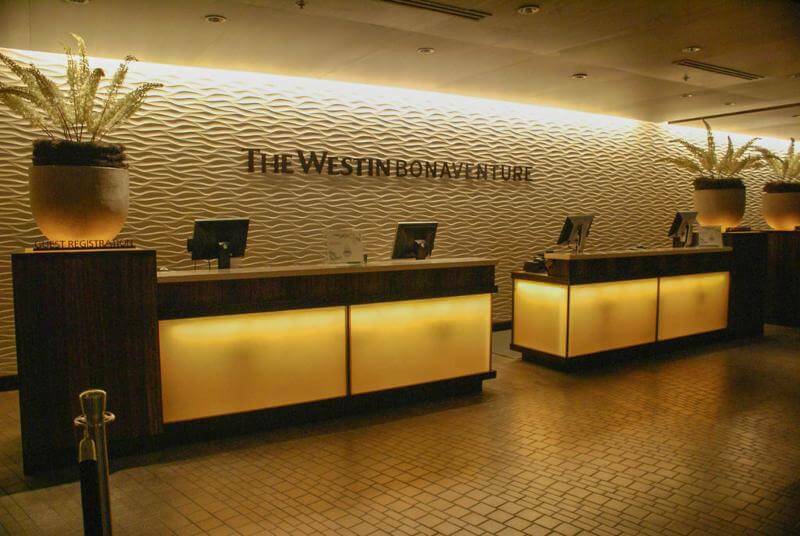 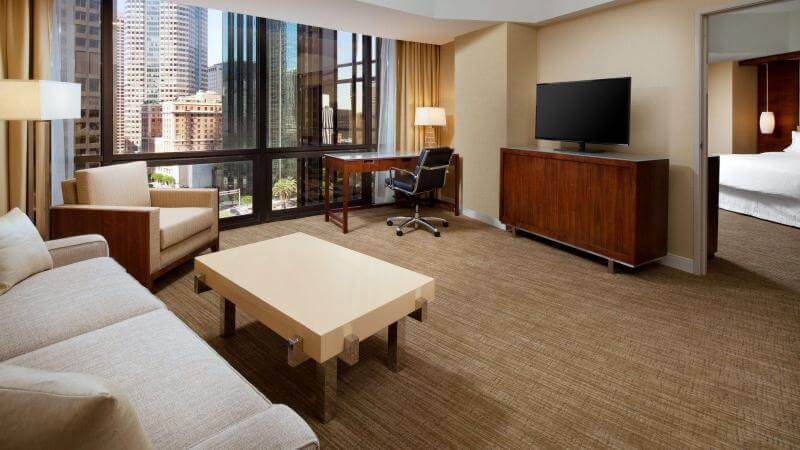 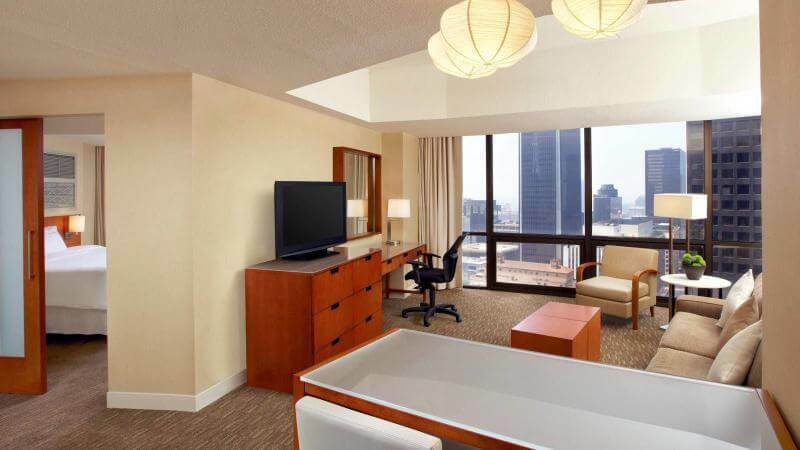 Rooms Offered in The Westin Bonaventure Hotel and Suites L.A. 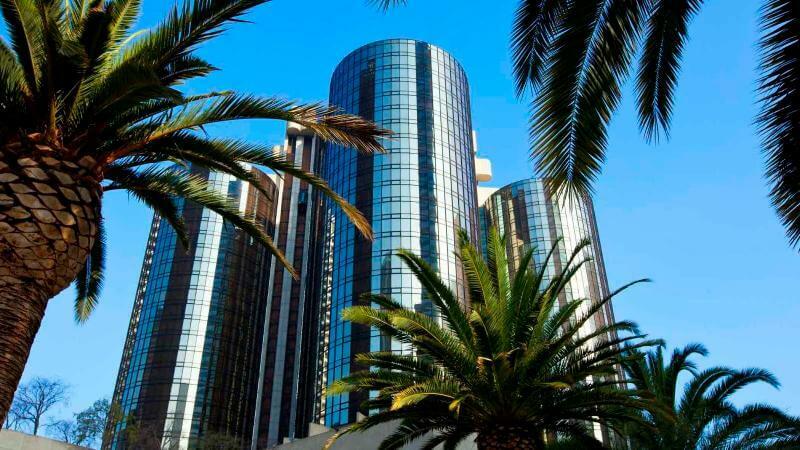 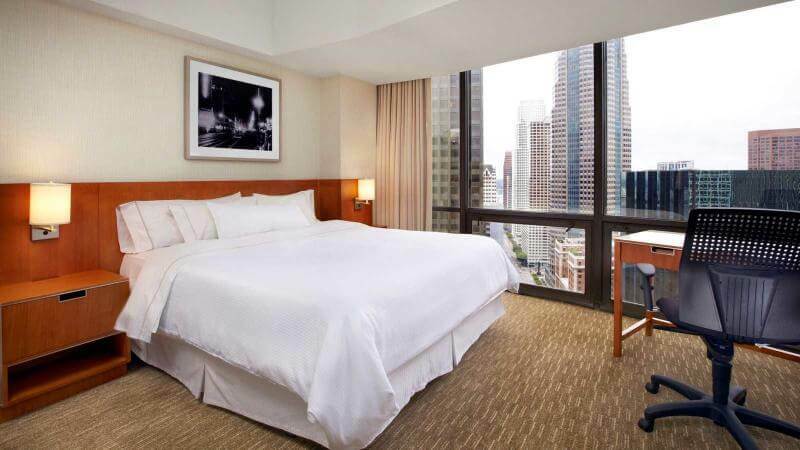 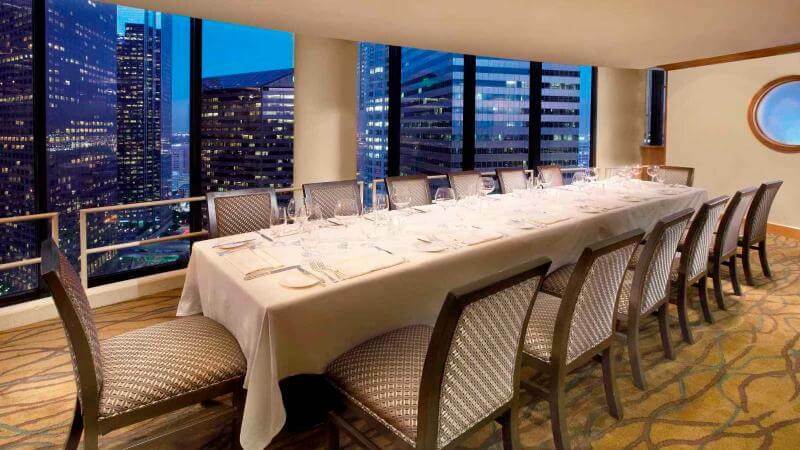 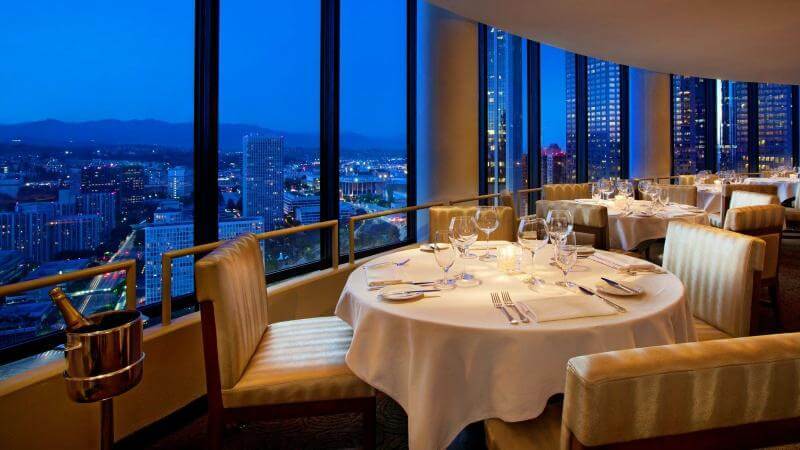 Located in downtown Los Angeles in the heart of many attractions, the hotel is frequently featured in movies and TV, with its 5 stunning glass towers. 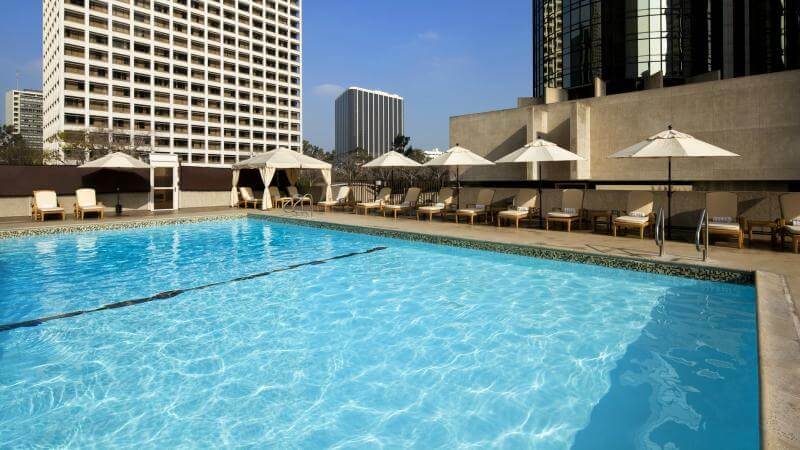 Guests can discover all the City of Angels has to offer - from the glitter of Hollywood to the sun, sand, and surf of Malibu. 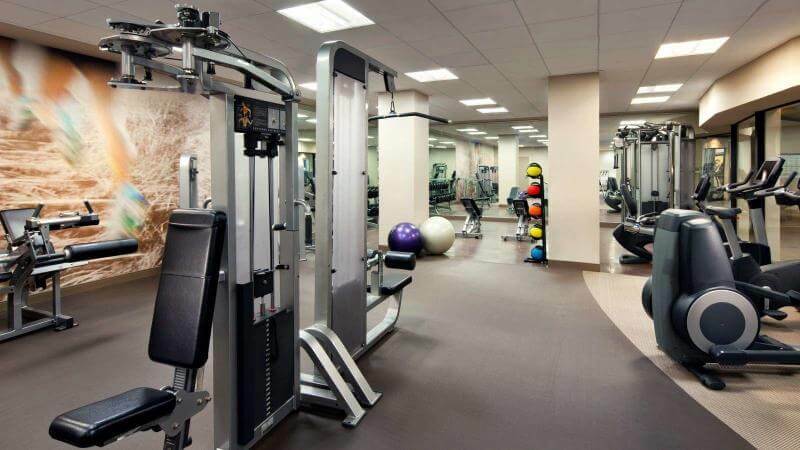 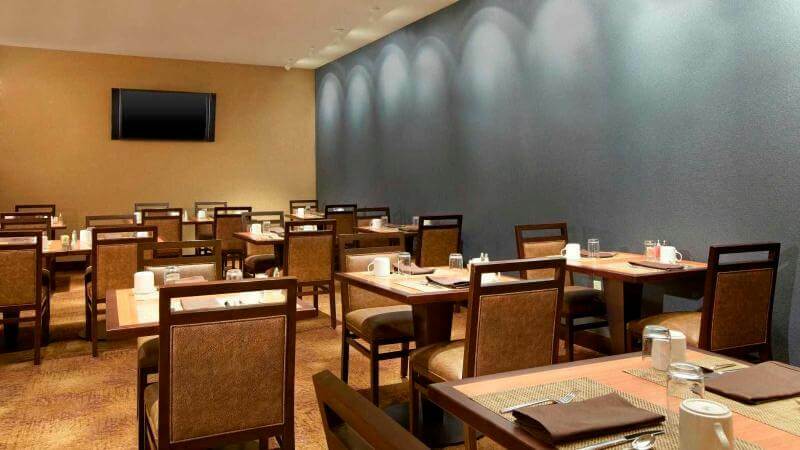 Facilities at this air-conditioned hotel include a lobby, 24-hour reception, hotel safe and lift access to the rooms. 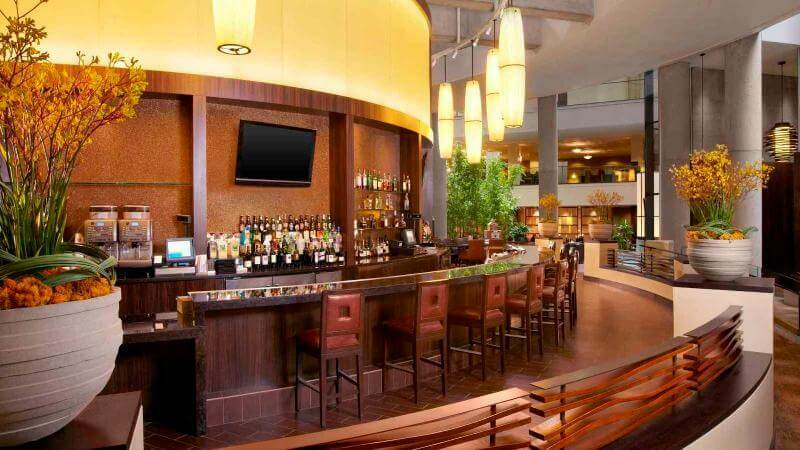 The property has a newsstand, hairdressing salon, TV lounge, café, bar and restaurant. 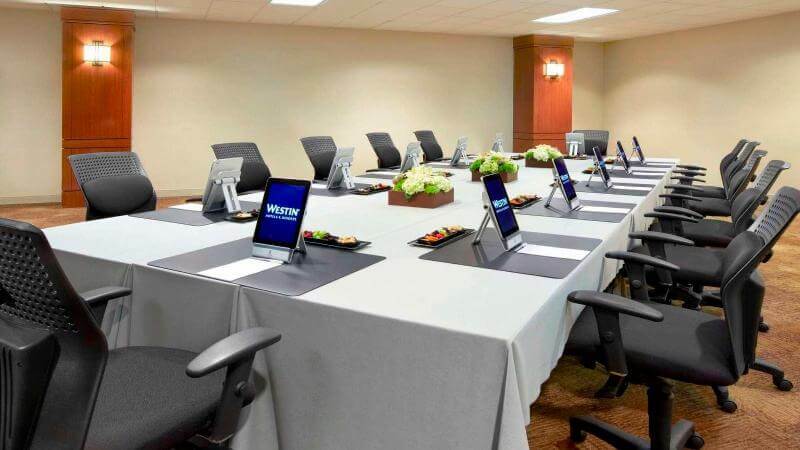 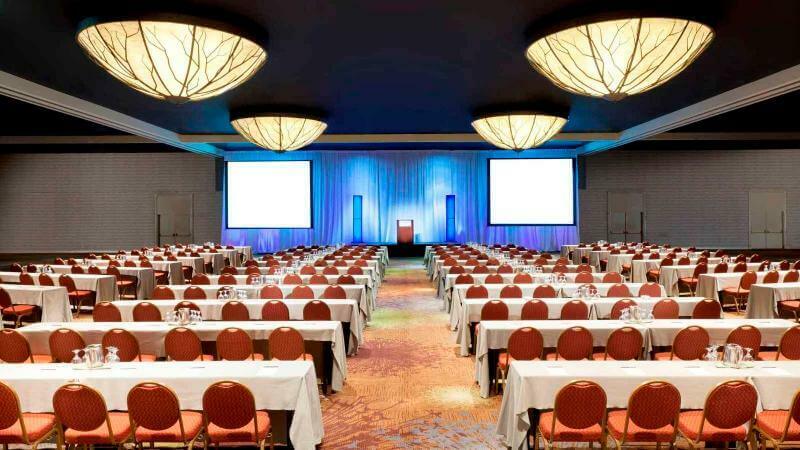 Conference facilities are also available, and Internet access, room service, a laundry service, a car park and garage.